There will be different colours around too, these are usually our limited edition VIP and Donators, if a user is VIP or Donator they will usually have a userbar to say this. What is the promotion system? HabboxForum users are all assigned a 'rank' depending on their number of posts. You can graduated from Newbie all the way to Habbox Legend just by posting around! You can see the announcement with all of the ranks, images and benefits by clicking here. New ranks will be added when more users advance through them. It takes about an hour for your account to advance to the next level once you have the requirements. Once you reach Habbox God status, you will also receive a special coloured name: dark gold with a sparkle behind it. At Habbox Legend status, you will receive a bronze VIP with a sparkle. Habbox God: To be in this user rank you must have over 20,001 posts OR have your account registered for 10 years AND have 5,000+ posts. Habbox Legend: To be in this user rank you must have over 30,001 posts OR have your account registered for 15 years AND have 10,000+ posts. If your account meets the above criteria, you can join the usergroup by going to User CP > Permission Groups or click here and Forum Management will review it! If you have any questions/feedback regarding this refer to the feedback forum or PM the Forum Manager, Sloths. To change your usertitle you must be a Habbox VIP or Donator. Donators can change their usertitles by going to their User Control Panel and then Edit Profile (or click here). VIP's can request their usertitle to have HTML in it - you can do this by clicking here if you are VIP. Normal members without VIP or Donator will have a post-based usertitle (see Promotions System). Habbox Forum has one joinable usergroup for it's Ex-Staff Members. Have worked for Habbox in a managerial role for 1 year (with no breaks) OR have contributed something outstanding to Habbox. Have resigned from your role (not been fired). Request must be on the same account used when a manager. To join this group go to User Control Panel, then Permission Groups and request membership. Your request must first be approved by the General Manager, lawrawrrr. Joining this group gives you an exclusive "Habbox Merit" userbar and access to an Ex-Staff sub-forum. Members that have been on the forum for over 10 years are able to request to join the Habbox God (10 years) or Habbox Legend(15 years). Find out more about these usergroups Habbox Announcements forum, but please speak to lawrawrrr or Ozad. If you are a VIP member, then you can change your name easily by clicking here to create a new thread using the [Name Change] prefix with your preferred username! You can also purchase a name change in the shop for 1,000 tokens. All name changes are at the discretion of Forum Administrators who can. If you are a normal member or a Donator, then you may change your name to your Habbo name. To do this you must send a Private Message to lawrawrrr and then send them a Friend Request on Habbo.com, to provide proof you are the owner of the account. There are two ways to become a VIP at HabboxForum. The most popular way is to win it! 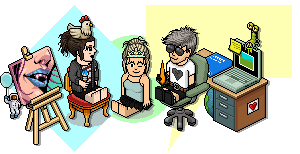 Keep an eye out for Events, HabboxLive (radio) shows and other big events which may give you the chance to win VIP. Every few months the Forum Management will release a Limited Edition VIP that will be on sale for a short period of time. Donator You only have to donate as little as £1 to get yourself some extra features. To find out more about donating, click here. How do I edit my Avatar or signature? Simply click here to edit your avatar - you can upload your own image (up to 150x150px) or use one of our pre-made ones! And then click here to edit your signature - you can use text, images, links or other embeds! Why can't I edit my forum signature? Only members with 5 posts or more can edit their forum signature. When you first register you will not be able to edit your signature until you posted five times. If you are a member with over 5 posts and still cannot edit your signature, please post in our Support forum. 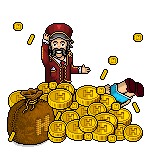 Habbox Tokens are a currency used by the forum to purchase virtual items. Habbox Tokens have no monetary value and cannot be purchased or transferred. How can I earn the tokens? Habbox Tokens can be used to purchase items in our forum shop. Habbox has the right to remove tokens, disable the system or revoke any purchased items at any moment in time without warning.